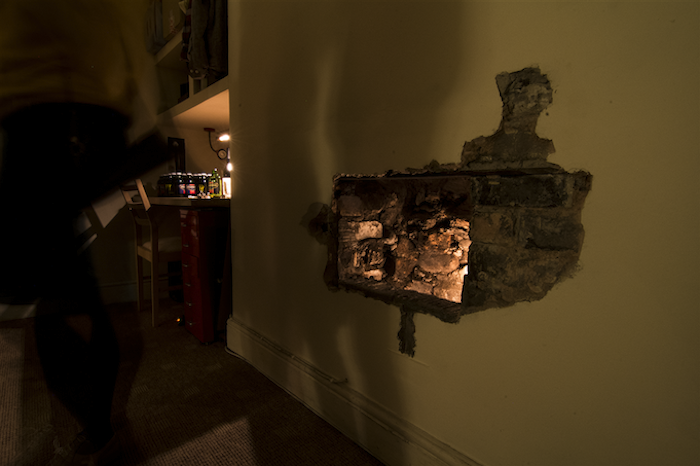 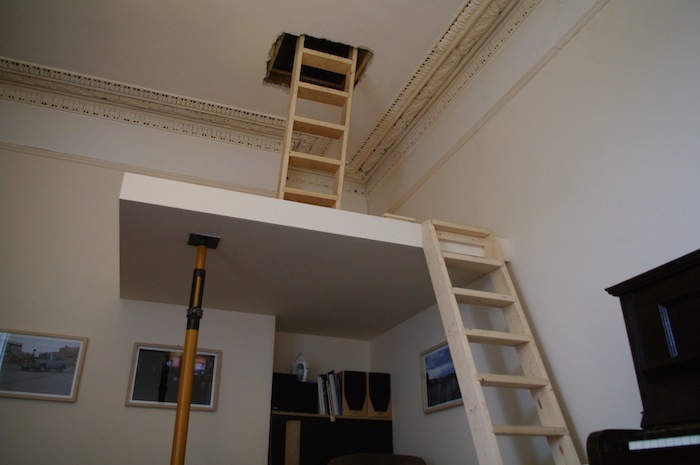 A hole was made in the ceiling of the artist’s terrace home, this gave access to an attic space that was previously inaccessible. 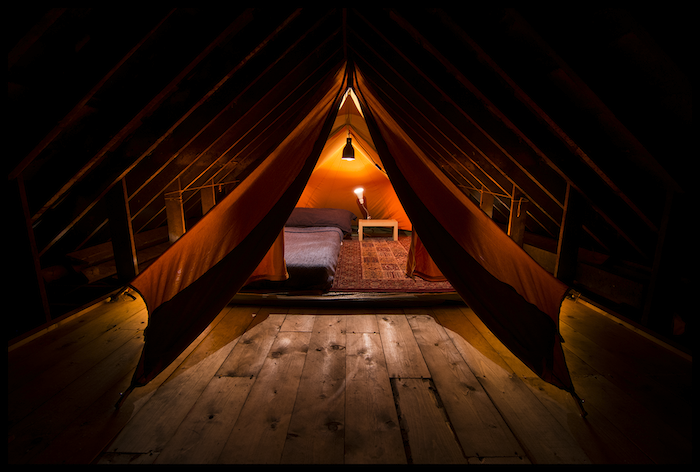 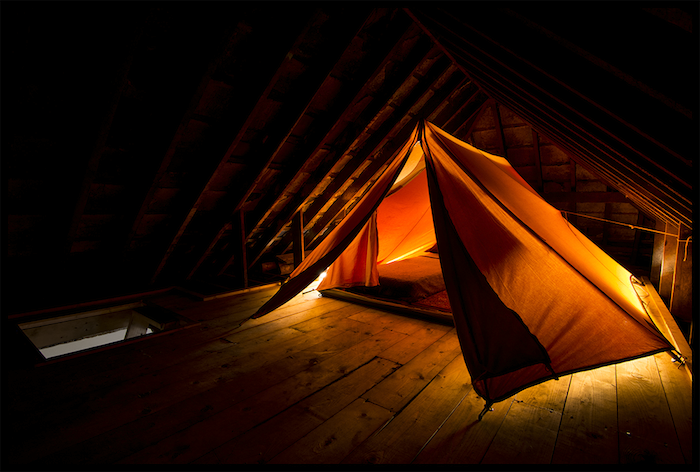 A floor was laid and a tent erected mimicking the shape of the room and allowing the room to be inhabitable. 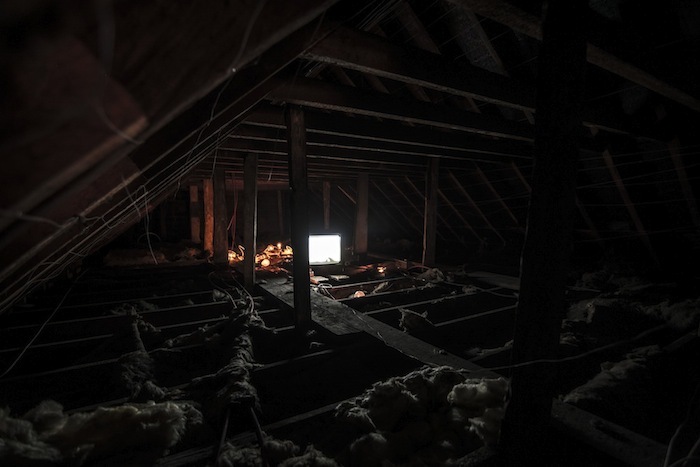 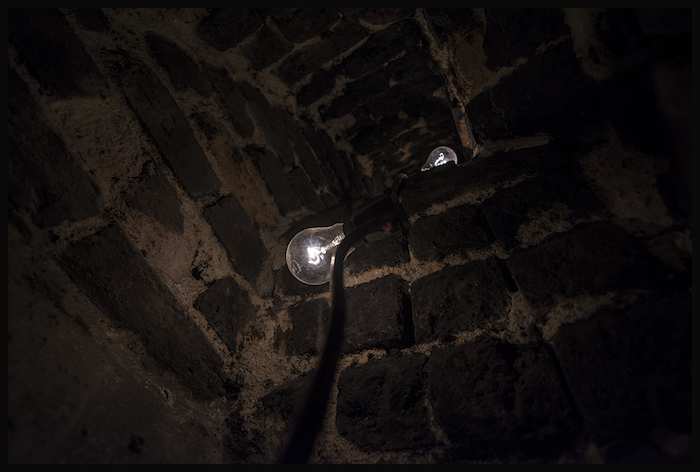 An existing hole in the back wall gave access to a neighbouring attic where the artist installed some festoon lighting and a television which showed a video of the artist and collaborator, Andreas Kindler Von Knobloch exploring a vacant house on the same street, two houses along in the opposite direction. 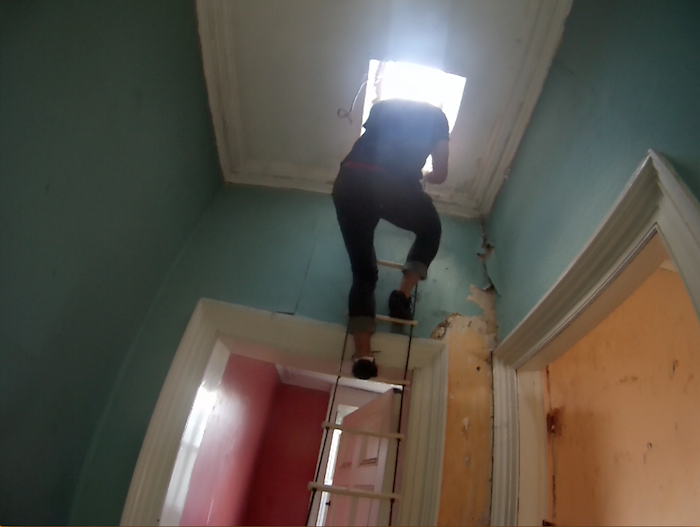 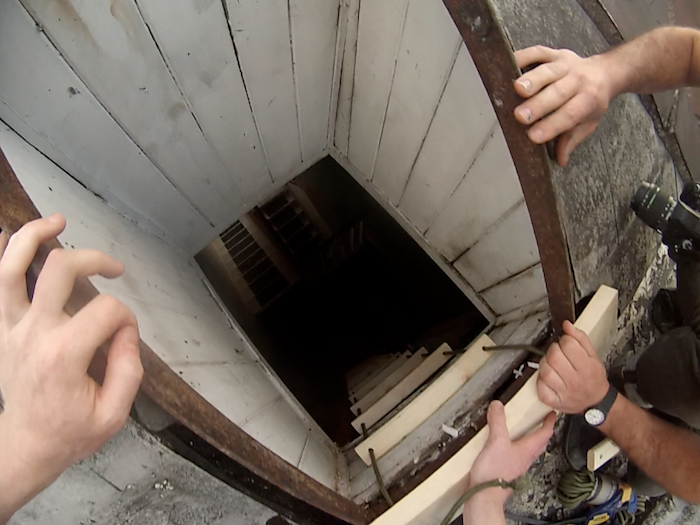 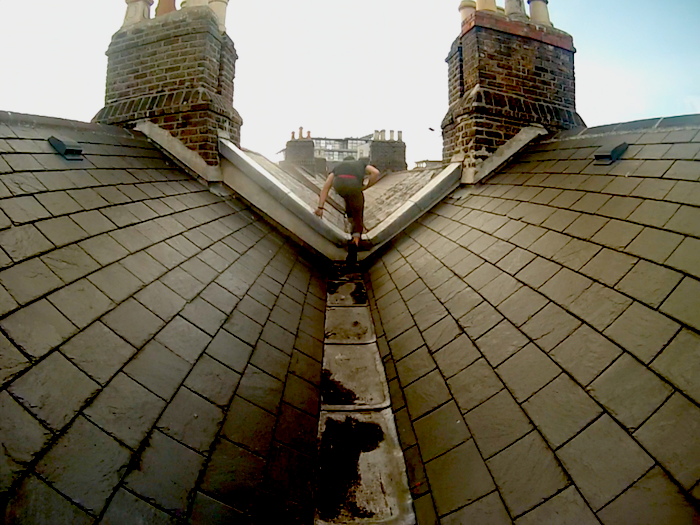 The artist is shown accessing the building via the roof gully of which the viewer is below. 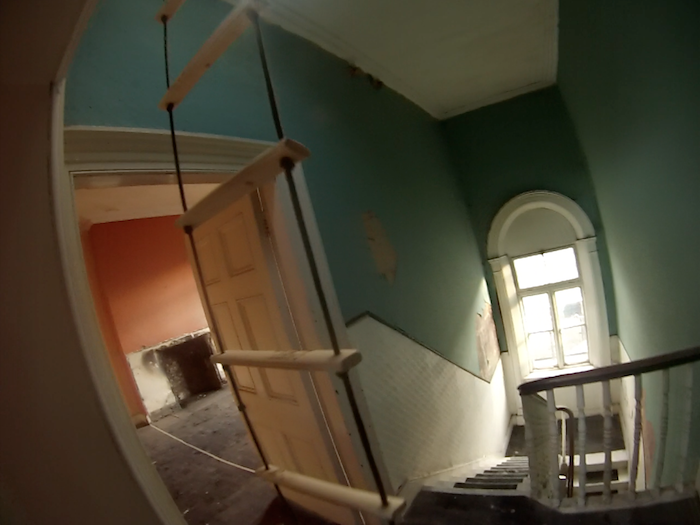 The vacant house architecturally mimicked the house in which the viewer has navigated through to get to the installation.